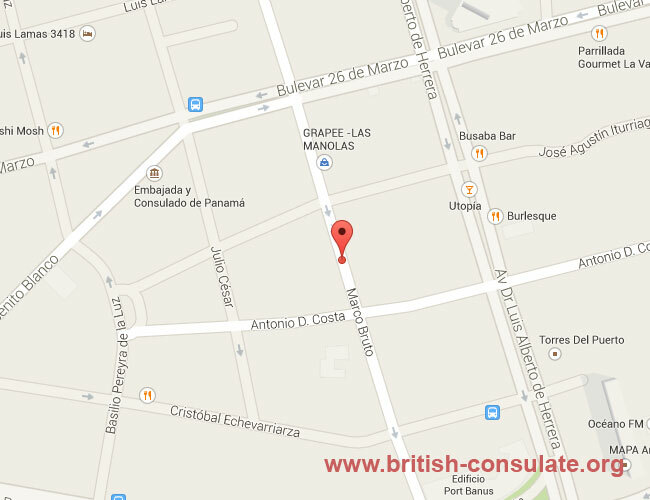 The British Embassy is located in Montevideo in Uruguay. If you are on holiday in Uruguay and lost your passport then the British embassy will be able to assist you with a new British passport. They can also register a death, accident, marriage or an arrest. The embassy will assist you with contacting your family and helping with local laws and customs if you find yourself in trouble. They don’t pay your legal costs but assist where they can. If you wish to visit the UK then you can apply for a visa in Uruguay at the embassy and this can be a marriage, fiancee or a visitor visa for Britain. See their contact details below with a map to the embassy.